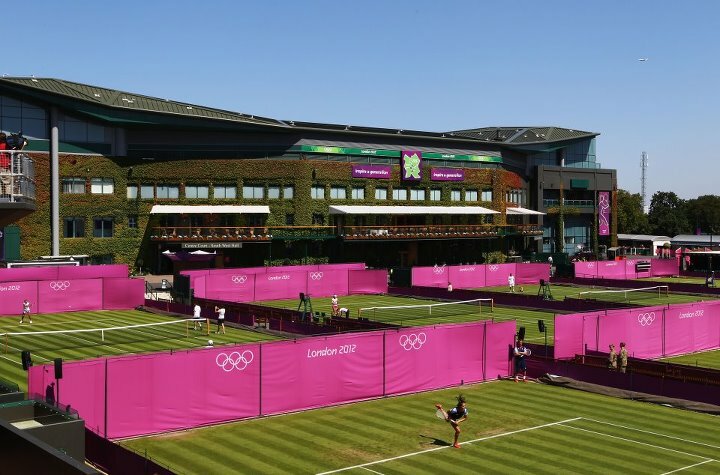 TENNIS BOULEVARD: Tennis Olympic Draw: Can Federer and Serena repeat Wimby? Tennis Olympic Draw: Can Federer and Serena repeat Wimby? World No. 1 Roger Federer will meet Colombia’s Alejandro Falla in the first round at the London Olympic Tennis Event, which begins in a few hours. Federer, who is appearing at his fourth Olympic Games, is in the same half of the draw as fourth seed David Ferrer, reports ATP. Second seed Novak Djokovic, the 2008 Beijing Olympics bronze medalist, will challenge Fabio Fognini of Italy in the first round. The 2-ranked player is in the same half of the draw as third seed and British favourite Andy Murray, who faces Stanislas Wawrinka of Switzerland. Fifth seed Jo-Wilfried Tsonga of France will meet Brazil’s Thomaz Bellucci. 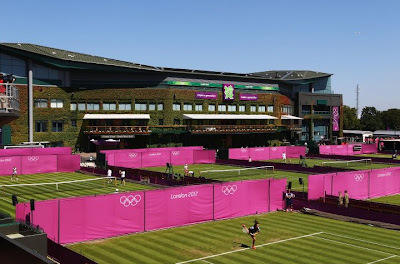 Learn what are the ten differences between Wimby and the Olympics at Wimbledon (Players can wear any color, for a start). In the Ladies tournament, world No.1 Victoria Azarenka will play in the first round with Romania's Irina-Camelia Begu. In Vika's quarter of the draw there's also former Gold Medalist and five times Wimbledon champion, Venus Williams. The other sister, Serena, has a tough match in the 1st round against Jelena Jankovic. Also on her section of the board are Caroline Wozniacki and Vera Zvonareva. Third-ranked Maria Sharapova meets Shahar Peer in the opening match and has some tougher competitors on her quarter: Ana Ivanovic, Kim Clijsters, Sam Stosur and Sabine Lisicki. Julia Goerges and Agnieszka Radwanska will play an interesting first-round match, in the fourth section that also features 2011 Wimbledon champion Petra Kvitová. Click here to read an interesting review of the Ladies Draw. The draw for the mixed doubles is scheduled to take place on 31 July.